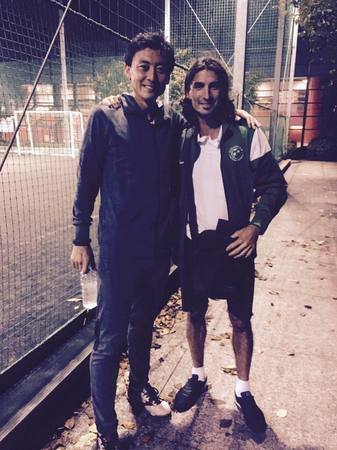 Great to catch up with my former team mate Zenon Caravella in Tokyo at my academy. It's been about 10 years since we last met but nothing has changed! Good times. TOC Football Academy is held in Shinkiba, Yokohama, Higashifushimi(Inside Waseda University). We coach kids from 6-15 years old in English & Japanese and English speaking kids always welcome.